Crete, Greece’s largest island, has a culture entirely its own. The authentic cuisine is exotic and unique, the music is some of Greece’s most stirring folk music – never will you hear the lyre played like it is played in the mountains of Crete – and the people are known for their exceptional bravery and pride. Spring is a fantastic time to visit the island. You can enjoy it in the full blossoming of spring, before the summer visitors throng to the island. 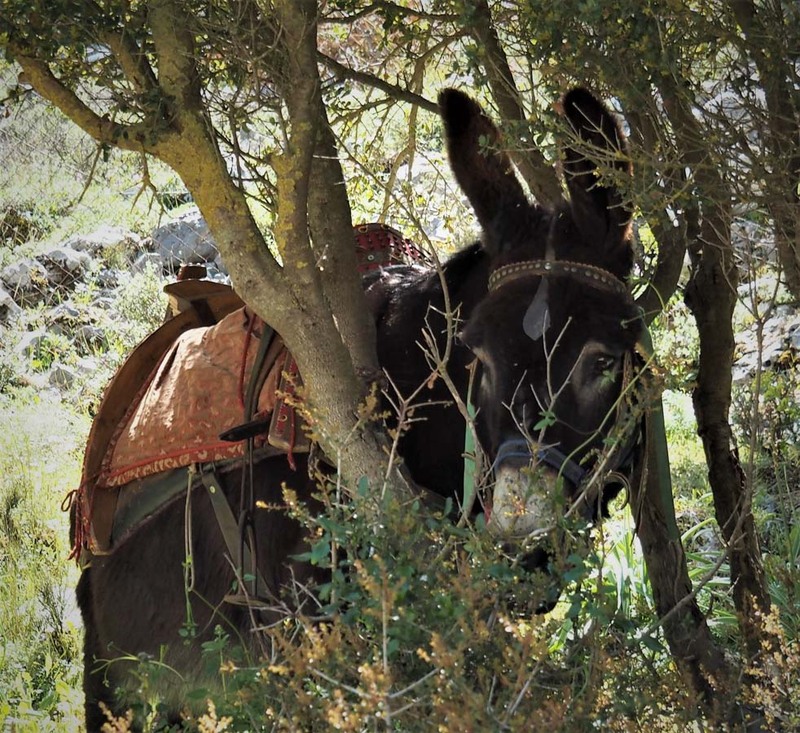 Here’s how you can enjoy a more private experience of Crete. 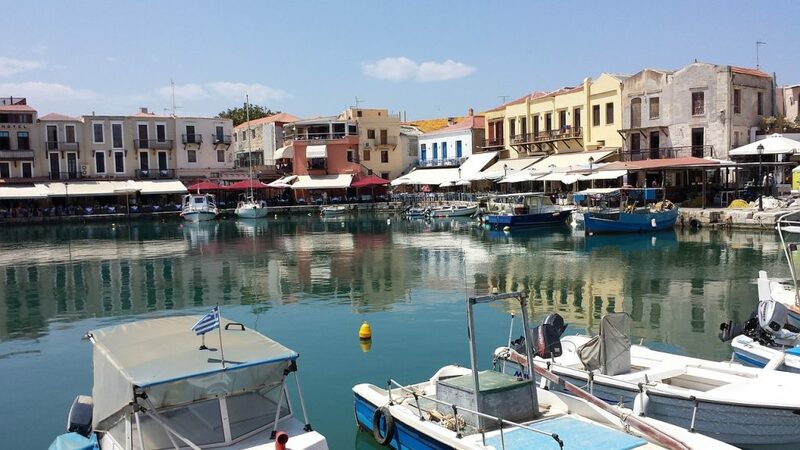 Crete — a long island with an east-west orientation – is divided into four prefectures that extend from the north coast to the south coast. The prefecture of Rethymnon, second from the west, is full of interesting sites from many eras, as well as sites of natural beauty. 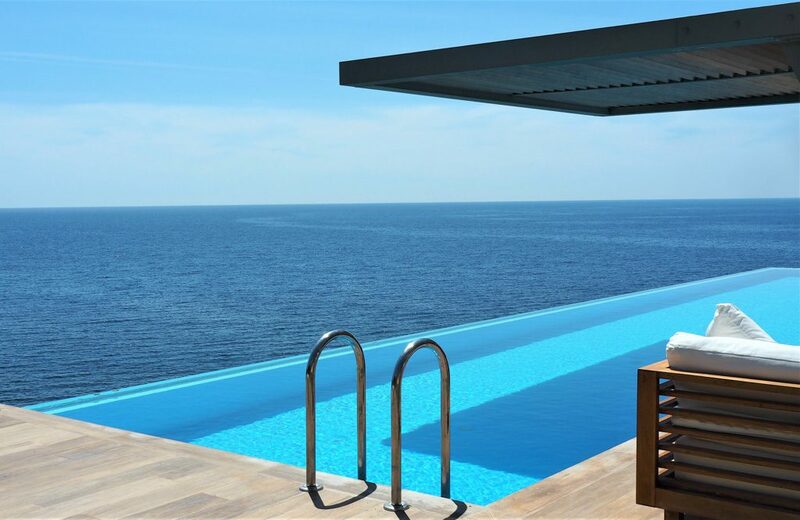 Crete’s south coast, on the Libyan sea, has a different character from the north. Stark and rocky, the land is full of drama. The sea is unusually clear, and the deeper waters have much crisper temperatures than in the north. The whole prefecture has activities that appeal to a whole variety of interests. 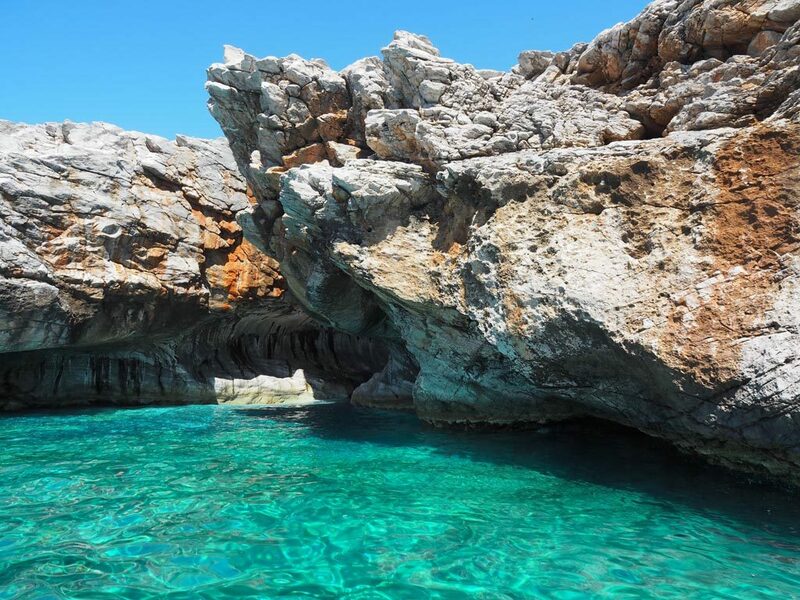 You could try a sailing cruise to explore hidden coves on the coastline and beaches accessible only by boat. If you like more vigorous activity, you’ll find that Crete is wonderful for hiking, with trails for every level of ability: the Imbros gorge, the Kofitsou canyon and the Boutsinas falls are just a few of the many gorgeous hiking trails. In spring it’s especially nice; the landscape is lush and the rivers are flowing. Hiking and gastronomy are of course a wonderful combination. Crete’s cuisine is the very apex of Mediterranean sensibility, based in foraged greens, extra virgin olive oil, fresh caught fish, and meats that have grazed on wild herbs. The excellence of the ingredients means that even the most simple of meals is a gourmet experience. Oenophiles will delight in tastings at picturesque local wineries. 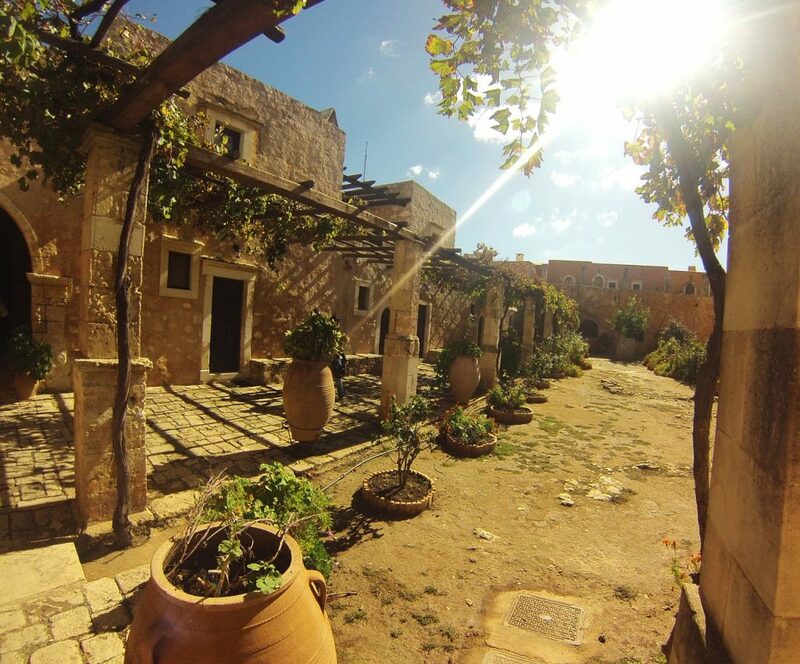 This beautiful monastery along a creek just inland from the Libyan coast is known by many for the beach of the same name which the monastery overlooks. The beach is protected by cliffs and is lush with palm trees. The monastery is a beautiful complex, whose bell dates the earliest sections to 1584. Like other monasteries of Crete, Moni Preveli played important roles in both the revolution against the Ottomans and in the resistance during WWII. In fact, many of the monks and brothers were active revolutionaries, and during WWII the monastery sheltered the Allied army and local population. The monastery was also an important arts center from the 17th -19th centuries, and now houses a precious collection of icons and religious artifacts. 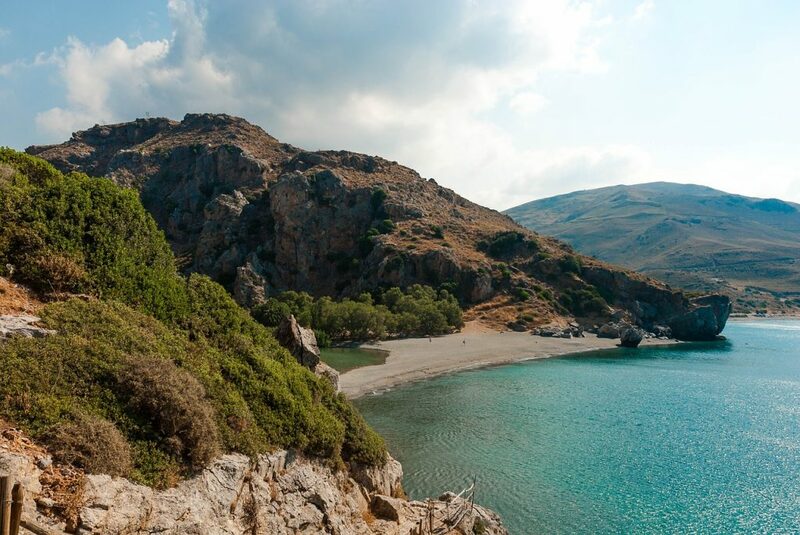 One of the loveliest beaches on the southern coast of Crete, Plakias – which takes its name from the word for “flat”- is an alluvial plane extended from the Kofitsou gorge. This makes for shallow waters, which is unusual for the south coast. The splendid beach is over a kilometer long and has fine golden sands. 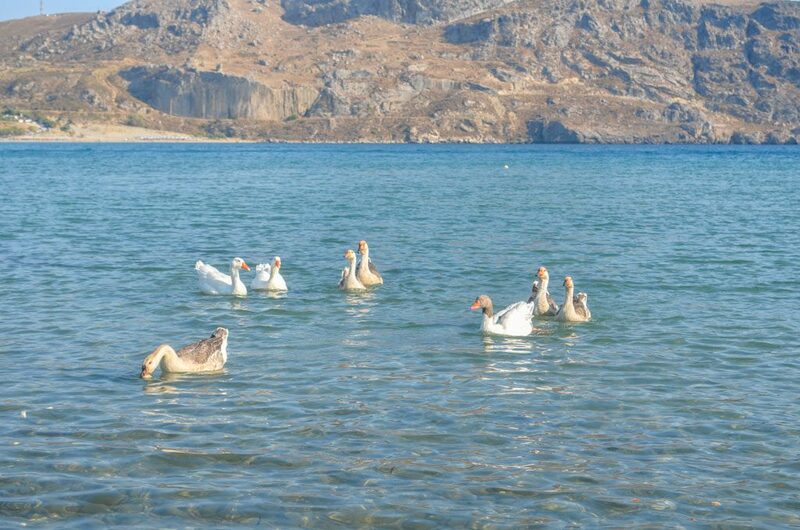 Plakias is just 8 km west of Moni Preveli. Along a remote stretch of unspoiled beach along the south coast in the prefecture of Chania, this Medieval Fortress is a strange and stunning sight. It was built by the Venetians in the 1370’s, to protect the Sfakia region’s Venetian nobility and lands from pirates. Originally called the Castle of St. Nikitas, the local Cretan population re-named it “Frangokastel – “The Castle of the Franks” – “Franks” being the word for Catholic foreigners. The fortress also played an important role in the revolution against the Ottomans, and was the site of a significant battle in 1828. This is perhaps the most famous of all of Crete’s monasteries, and certainly the most beautiful. 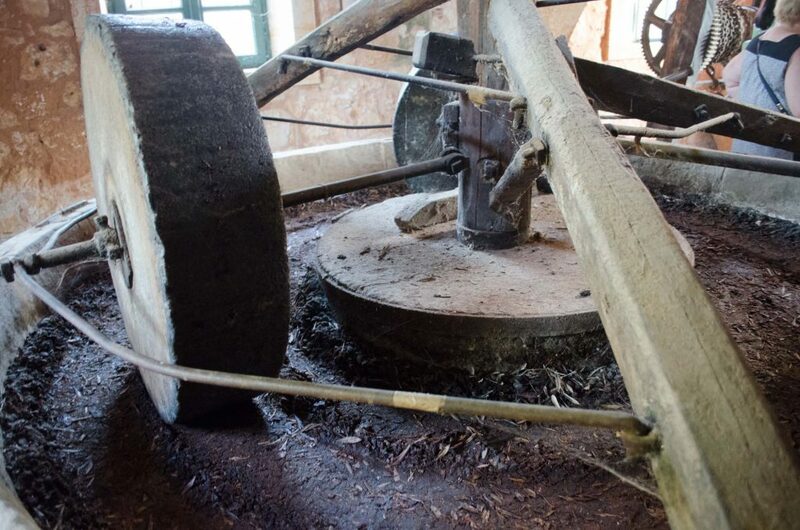 The Arkadi region is a fertile plain of olive groves, vineyards and forests south of Rethymnon town. Here, in a large courtyard, is an elegant church built in the 16th century, with elements of Baroque and Renaissance architecture. The monastery is famous throughout Crete because of a holocaust that happened here during a heroic uprising against Ottoman rule in 1866. Ancient Eleutherna, otherwise sometimes known as Apollonia, is between present day Chania (Cydonia then) and Knossos. This strategic location, close to the ports and also to the sacred cave of Mt. Ida, was colonized by the Dorians in the Geometric period. The city grew in prominence, acquiring luxurious villas and baths in the Roman era, and in the Christian era had a bishop and large basilica. An earthquake, and later Arab invasion finally led to the downfall of the city. The excavation of Eleutherna is a brilliant study in how to bring to light ancient sites while respecting their natural surroundings. It lays in a protected woodland, with concealed power lines and steps made of earth and stone. There is a sense of discovery and mystery that more famous sites may lack. This is a wonderful experience of archaeology. The capital of the prefecture is famously charming, with its winding, jasmine-scented alleys, a picturesque port, and a 16th century Venetian Fortress – the “Fortezza Fortress”. 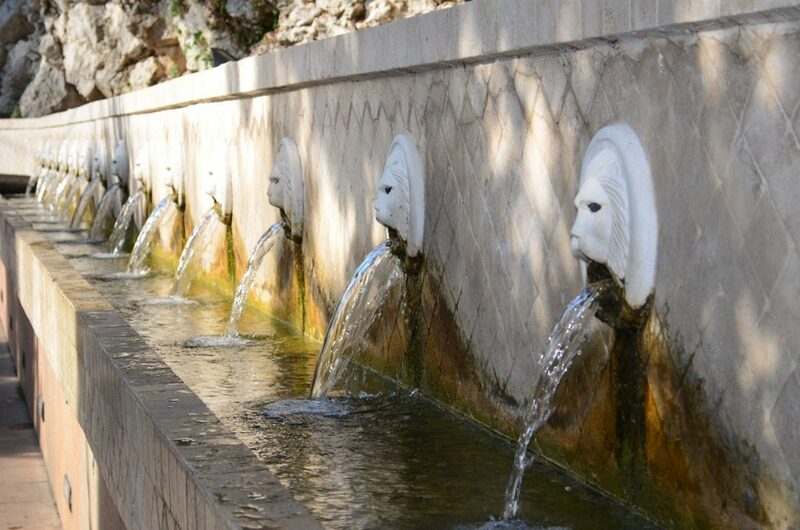 There are plenty of cultural activities, including an archaeological museum, the Contemporary Art Museum of Crete, and a Folklore and Historical Museum. You can shop for handcrafts, dine at traditional tavernas, and relax over a coffee in the shade of Platanos (“plane tree”) square, like the locals do. 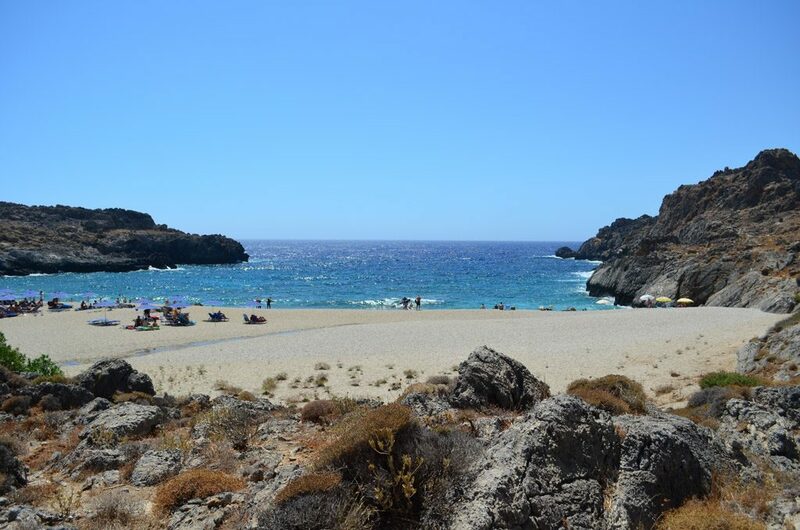 Have you visited Crete without the crowds? What is your favorite season to travel?